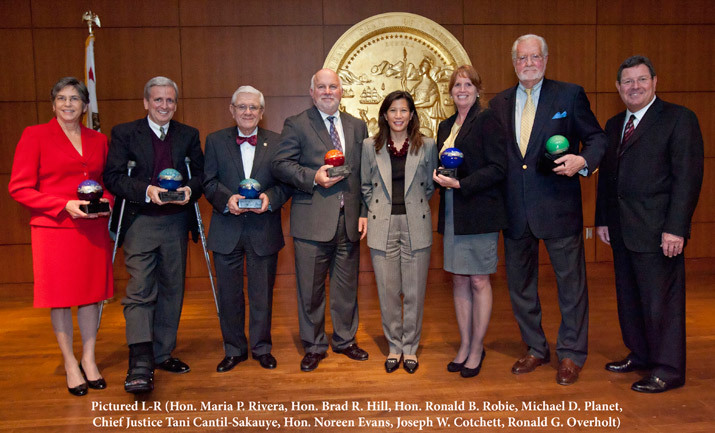 In December, Joseph Cotchett was honored by the Judicial Council of California as a winner of its 2011 Distinguished Service Awards. Chief Justice Tani Cantil-Sakauye presented the award to Cotchett, recipient of the Bernard E. Witkin Amicus Curiae Award. The award honors individuals other than members of the judiciary for their outstanding contributions to the court of California. Other honorees included Hon. Maria P. Rivera, Hon. Brad R. Hill, Hon. Ronald B. Robie, Michael D. Planet and Hon. Noreen Evans.